When I study the future of work, and explore the emerging trends impacting our working lives, I am struck how it looks increasingly like the past. In today’s 24/7 demand economy, work is no longer a place to go, but a task to be accomplished. It is not necessarily undertaken by large companies with a sizeable workforce, but is frequently broken down into individual tasks and outsourced to freelancers or informal groupings of individuals, working from home and owning their own production tools (IE laptops and brains). Employers appreciate the advantage of being able to tap into a workforce of independents. It frees them from the hassles of full-time employees and enables them to hire experts when they need them – whether they are skilled workers such as accountants, IT specialists or graphic designers or less skilled workers such as data inputters or cleaners. From a workers point of view, this approach to work offers many benefits too: the opportunity to be your own boss and take on a range of different tasks and clients; the flexibility to fit in work around other commitments such as hobbies or family; and the chance to work from home and ditch the daily commute. The curious thing is that this brave new world of work has much in common with the traditional work model prior to the industrial revolution. For centuries, the workforce comprised a host of artisans who had been apprenticed to a trade and learned their skill on-the-job. These people would typically include stonemasons, cabinetmakers and blacksmiths and they earned a living in their local area carrying out work for local businesses, farmers, gentry etc. They were predominantly self-employed, but often shared workshops and tools and sometimes teamed up with others to take on larger or more complex tasks. They relied on word of mouth and reputation to provide them with a steady stream of work and had a range of loyal and satisfied customers. Much of these same principles apply in today’s so-called gig economy. The major difference of course is that the digital revolution has created a global marketplace with work no longer centred around a physical office or site. As long as we have a computer and an internet connection, we can work anywhere – from a basement in Manhattan to a beach in Mumbai. Employers and workers alike have been quick to embrace this concept of a human cloud with its army of workers around the world. Work that once constituted a full-time job is now broken down into its constituent parts and outsourced, often virtually. Workers have a series of specialist skills which they use in carrying out a project or series of tasks. Often they do this alone and at other times they will create loose affiliations or virtual teams to deliver a larger project. All too often, when we consider the history of work, we take as our reference the dark satanic mills of the industrial revolution or the mind-numbing boredom of the 1950s production line. But these represent a relatively short period of time in the history of work. 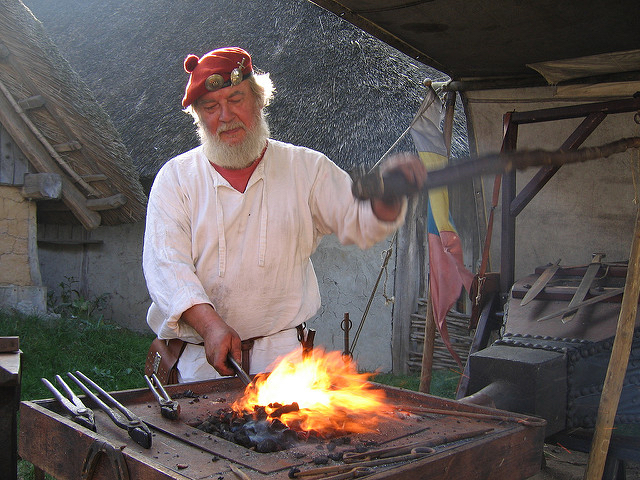 Skilled artisans operating as independents were the backbone of the labour market model for some 500 years. Of course in today’s virtual world, the system is more sophisticated. There are a host of online platforms that act as brokers between work and workers, from cloud call centres to sites like Upwork, and Freelancer. Workers upload details of their skills and experience onto the sites and employers post requests for tasks to be undertaken. There is demand for a range of skillsets, from basic tasks commanding a modest hourly rate to experienced management consulting at a fairly hefty daily rate. In a global marketplace, workers across all geographies are competing for the same work and this can be a challenge for people living in expensive parts of the world who risk being undercut by people from less pricey areas who have lower wage expectations. With the rise of the virtual economy comes also the challenge of classifying workers and applying an appropriate tax and social insurance structure to them and the clients for whom they are working. Most of these workers are freelance and so do not have the rights or benefits afforded to company employees. These new ways of working need to be recognised and regulated, so that workers are afforded appropriate rights and social protection. The fact remains, however, that many workers welcome being free of the restrictions and rigidity that come with an employee contract. They relish the chance to choose how often they work, when and with whom. Today’s cloud workers are their own boss and retain a sense of control and ownership over the work they do. In an evolutionary twist that owes more than a passing nod to Karl Marx, as the workers have taken over the means of production. Just like the artisans of yesteryear. As my countrymen Alphonse Karr would have said, ‘plus ça change, plus c’est la même chose’. Waffle while protests by the electorate are ignored, eh? Let us brand anyone who dares question unthinking support for the EU a racist while racism is ignored when perpetrated with impunity against indigenous peoples.